This is what we like the most about Lijo Jose Pellissery! After the disastrous Double Barrel, the wildest spoof that Malayalam cinema has ever seen, he doesn’t try to be another Sathyan Anthikkad or Vineeth Sreenivasan. 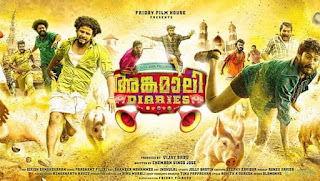 Lijo’s latest release, Angamaly Diaries, is a wonderful attempt to focus on the culture of Angamaly, the city in Ernakulam where the movie happens. Based on the script by Chemban Vinod, Lijo tried to portray every possible cultural identity of Angamaly and its people with utmost sincerity and observation. The most adventurous thing about the movie is its cast. He introduced more than 80 debutants including the hero and heroines. It is really amazing to say that none of his selection has failed on screen. 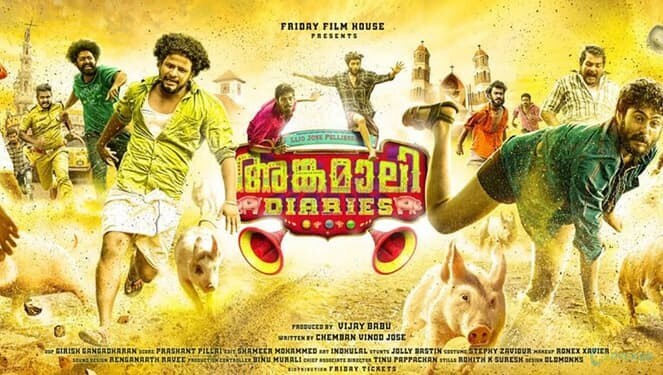 There is nothing absolutely new about the story of Angamaly Diaries. We have seen similar elements aplenty in movies like Kammattippaadam. It is the craft, the style in which these familiar elements are presented, that makes the movie a non-ordinary one. Angamaly Diaries gets unfolded through the point of view of Vincent Peppe, the protagonist. The story of his growth into a local Angmaly guy who falls prey to his atmosphere. Vincent and his friends don’t have any criminal intentions, but due to the sudden and thoughtless actions, they land up in trouble. But the movie is not at all a tear-jerker and it ends on a happy note. And you will definitely love it! All the characters are moulded with identity and soul. They are original. They just behave as if in their real lives. Even the villains are not exactly villains! The music used in the background and the lyrics really helped to add a local flavour to the movie. Angles, flow of the camera and editing helped a lot the movie achieve its desired effect. It is a well-made flick which reflects the magic touch of a master craftsman.